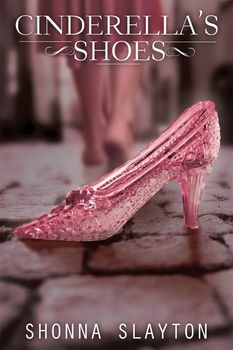 Now that Cinderella's ball gown is secure, Kate sets her sights on reuniting it with the famous glass slippers. When she discovers one of the diamonds from Cinderella's shoes in the box of her father's belongings, which was returned home by the military when he was presumed dead, she believes they are connected. If she finds the shoes, she'll find the truth behind his disappearance while working as a Monuments Man during WWII. But Cinderella's descendants have a different agenda, one that seems bent on turning her into another one of their servants. Is it worth leaving her new sweetheart, Johnny, and forming an alliance with the family of the stepsisters to find the answers she needs? If Kate can find Cinderella's shoes, she'll find the truth behind her father's disappearance. But Cinderella's descendants seem bent on turning her into one of their servants.